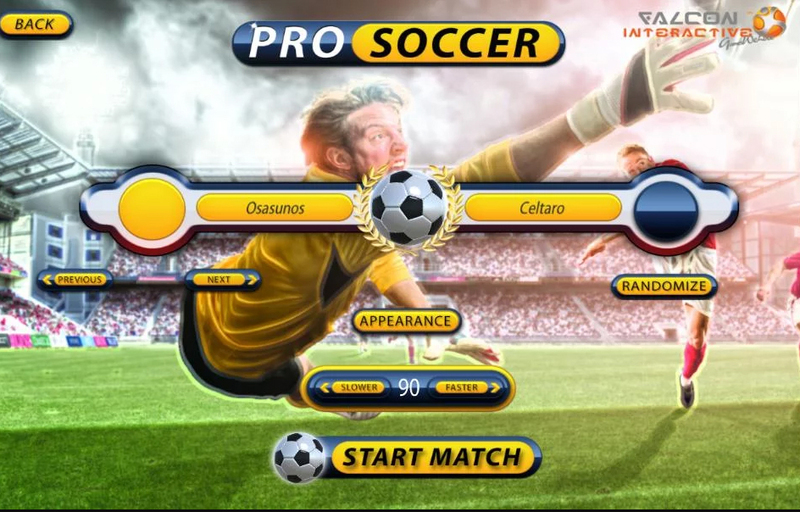 Pro Soccer is a new game designed to bring you the beauty of football with all the challenges and fun that you can see on the field. One of the best things about football is that it’s a lot of fun and it provides you with a whole lot of cool mechanics and ideas. Not only is it rewarding and interesting, but at the same time it also brings in front some really interesting ways to play as well. Your goal in Pro Soccer is to make history in Premier League. You will choose what team you want to play as and then you have to do all you can in order to complete those matches and win everything. As you may imagine, there are lots of matches to play. I particularly like the fact that the AI is focused on tactics and strategies. Each player has a different strategy, so you never know how the AI will attack you. This is why you always have to be very creative and you need to bring in front a unique, simpler approach. But it’s stuff like this that makes Pro Soccer a lot of fun, because you just get to try out some new gameplay ideas all the time. 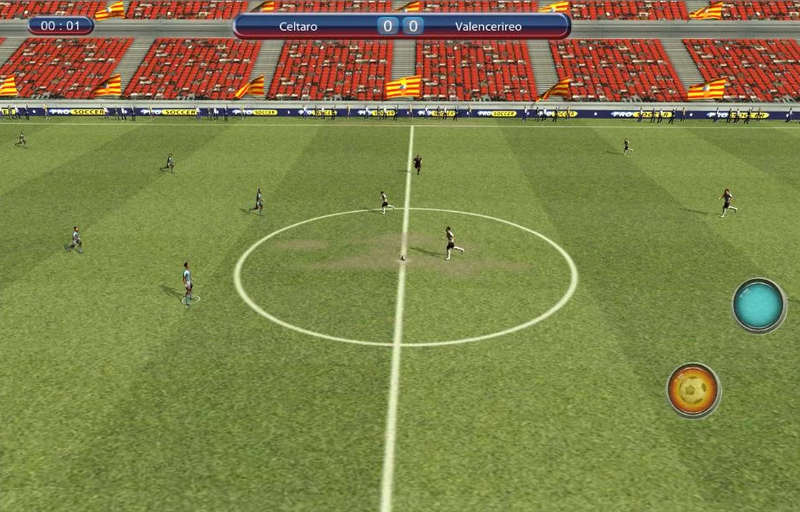 The gameplay on its own is simple and refined, as you want a regular soccer game to be. There are a few challenges here and there, but overall you will find that the gameplay is nice, action packed and full of some really nice ideas. It doesn’t get hard either, nor do you find it to be too challenging. Based on the experience I had, Pro Soccer strikes the perfect balance between skill and experience. You will learn more and more as you play, and the experience on its own is really interesting to be honest. You will like the great attention to detail offered to graphics as well. The game looks very well and it does have that console game feel to it. That’s incredible considering the fact that Pro Soccer is just a mobile game. It really manages to put all the stuff that matters into a single experience and it balances all of that with the utmost perfection. At the end of the day, the gameplay is fun, the balance is nice and the entire experience is there for you all the time. It’s safe to say that each new team you will face will come with new players and challenges, but you will have to optimize the way you play. As long as you do that, face your enemies and focus on success, you will see that nothing is really impossible. You just have to learn and master all challenges in front of you. Do all you can to take things to the next level. As long as you do that, success will be one step closer to you. 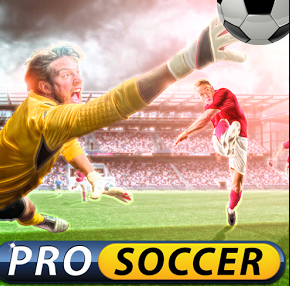 So, I believe that Pro Soccer is a very good game, you may want to try it out if you want to have a nice, relaxed and fun football experience!